Beyond The New Yorker, The Atlantic, The Paris Review and a cluster of other top-tier magazines, there’s a brilliant treasure trove of literary mags putting out exciting, provocative work. While reading short stories may not be wholly en vogue at the moment, the levels of dedication displayed both by the writers contributing to these often underfunded magazines and the editors sifting through the ever-growing slush deserve praise. 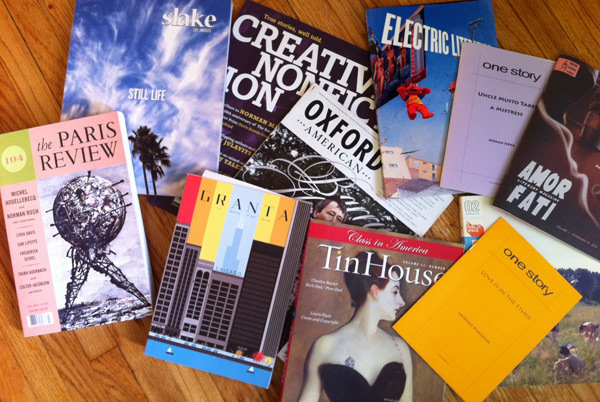 That’s why we’ve decided to throw together a list of literary magazines that deserve more attention. Be it in print or online, these brilliant magazines consistently produce writing that stimulates, surprises and satisfies. Filled with fresh-cuts and a nice variety of writing — everything from book reviews to fiction to poetry— this Philadelphia-based publication puts special emphasis on authors from the City of Brotherly Love and emerging writers. Cleaver has a strong presence both online and in print and gets bonus points for its “Life As Activism” section, which combines politics, activism and literature. Based on the principles of the all-time great short story writer Raymond Carver, the appropriately named Carve seeks to publish work that is “both concise and generous.” Formed in 2000, Carve was an early online adopter. They’ve built a name for themselves through their love of both emerging and established writers and their Raymond Carver Short Story Contest, which offers $1,500 to first place.